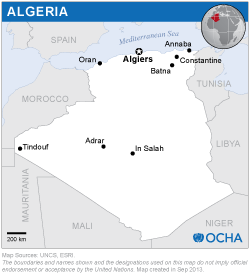 The UN-SPIDER Regional Support Office (RSO) in Algeria is hosted by the Algerian Space Agency (Agence Spatiale Algerienne, ASAL). It was established during the third African Leadership Conference on Space Science and Technology for Sustainable Development on 7 December 2009 in Algiers. 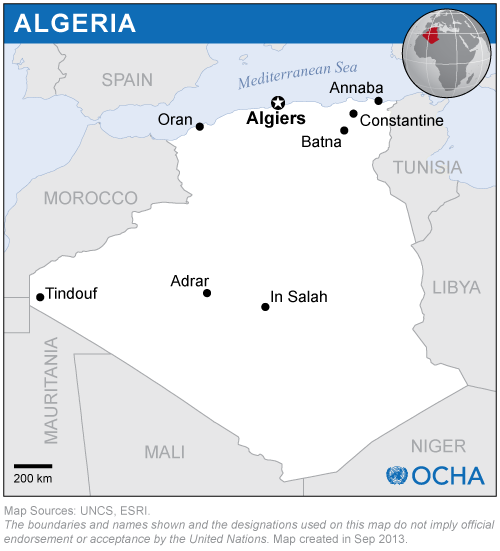 This RSO, which covers both North Africa and the Sahel region, was established as a part of the Central Agency for Civil Protection. In case of an emergency, it will liaise between the end-users of space-based information and the Algerian Space Agency, which will act as a value-adder to space-derived data.